This is in Good to Very Good condition. The covers are nice and tall with minimal marks. One thing to note is that there is a crease as shown. 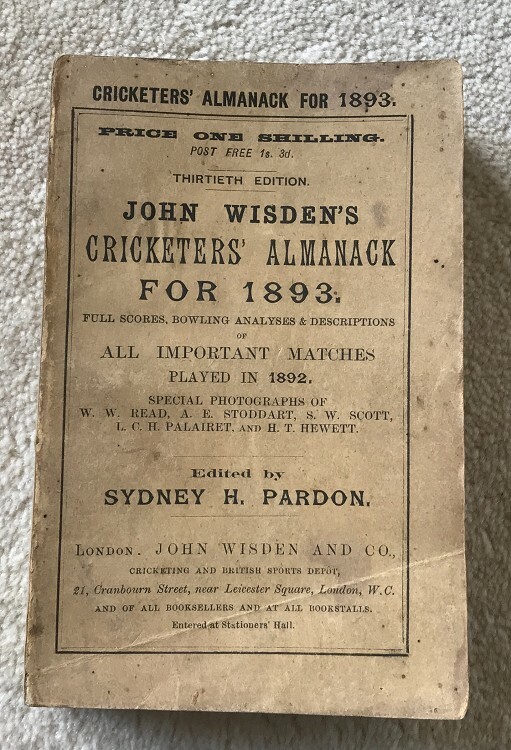 A nice new spine with text has been added , it is neat and tidy but not an exact copy of an original Wisden. Internally excellent apart from around the photoplate which has quite a bit of foxing , some spotting to the page block.